Dr King graduated with Honors with a Bachelor of Science degree from Auburn University in 1978. He then attended medical school at the University of Alabama School of Medicine, Birmingham where he received his M.D. Dr. King completed his internship at the University of Tennessee, Memphis and then his residency at University of Tennessee, Memphis - City of Memphis Hospitals - Department of Obstetrics and Gynecology. He is a board certified Fellow of the American College of Obstetrics and Gynecology, certified in 1988 and recertified in 1998 and 2008. He is also a member of the AMA, TMA, Memphis and Shelby County Medical Society and Memphis and Shelby County Obstetrical & Gynecological Society. He is a clinical instructor for the University of Tennessee Department of OB/GYN. He belongs to the Central Association of OB/GYN and the Central Travel Club. Dr. King serves as chairman of the Board of Directors for Women's Care Center of Memphis, MPLLC. He has also served as chairman of the Department of OB GYN at Baptist Memorial Hospital for Women and as vice-president of the Medical Staff of Baptist Memorial Hospital for Women. 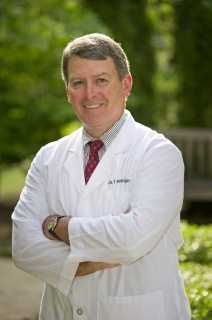 For the 3rd year in a row, Dr. King was voted as one of the Memphis Top Doctors in OB/GYN in Memphis Magazine. His specialties include general obstetrics and gynecology, pelvic surgery, and high-risk pregnancies. He is a believer in thorough preventive care - taking care of women's health from youth through menopause. He and his wife Cynthia have two sons. They enjoy Auburn Football games, attending as many as possible. They also enjoy Memphis Redbirds Baseball and attending church. In his free time, Dr. King enjoys playing golf and reading.